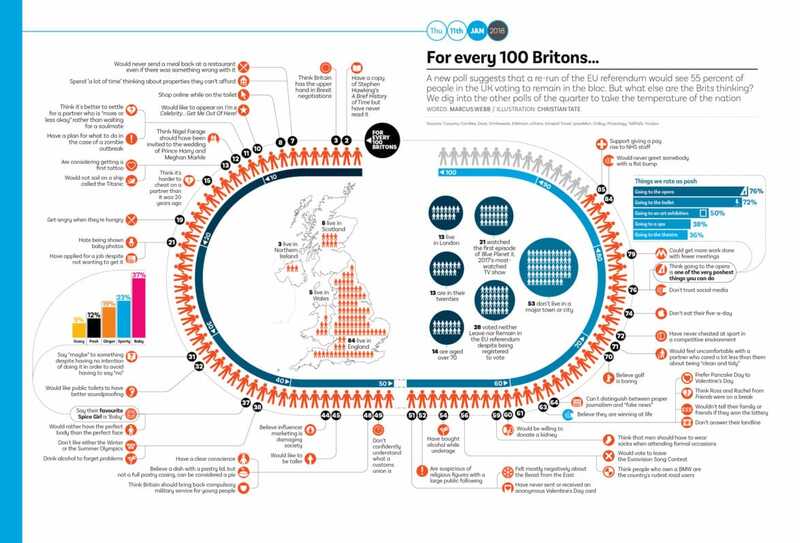 Infographic: The will of the people – from Brexit to black holes from Delayed Gratification, the Slow Journalism magazine. In January 2018, one of the first polls emerged to suggest that the mood of the British public had shifted away from being in favour of leaving the European Union and towards staying put. We took this as our cue in DG #30 to look at 50 polls published in the UK media during the first quarter of the year, to get as broad a picture as possible of national mores, likes, dislikes and desires. Covering views on everything from adultery to zombie outbreaks, our percentage poll of percentage polls offers a fascinating insight into the UK’s current collective consciousness – where do you stand on it? 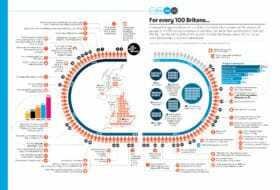 This infographic was published in DG#30. Pick up a copy in our online shop or take out an annual subscription using the promotion code ‘SLOWNEWSDAY’ for 10 percent off.